nj arts maven: Pegasus Theatre Project Presents “Bakersfield Mist”—A Culture Clash Messier Than A Jackson Pollock, But Just As Thrilling! Pegasus Theatre Project Presents “Bakersfield Mist”—A Culture Clash Messier Than A Jackson Pollock, But Just As Thrilling! 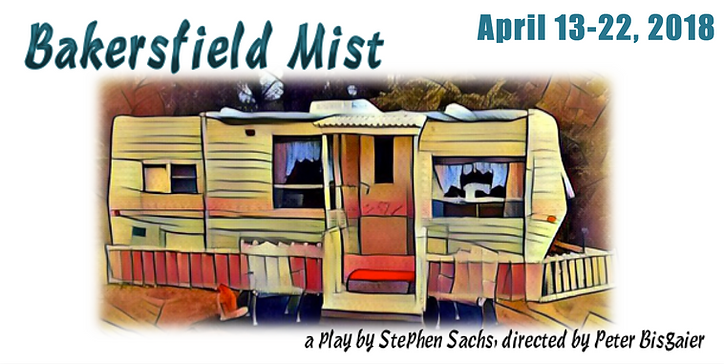 Pegasus Theatre Project, the professional resident theatre company of the West Windsor Arts Council, will present Bakersfield Mist. In its 2018 Season, Pegasus Theatre Project is exploring the theme of how we establish a human connection with those who have vastly different values, beliefs and lifestyles; those whose truth is vastly different from our own. 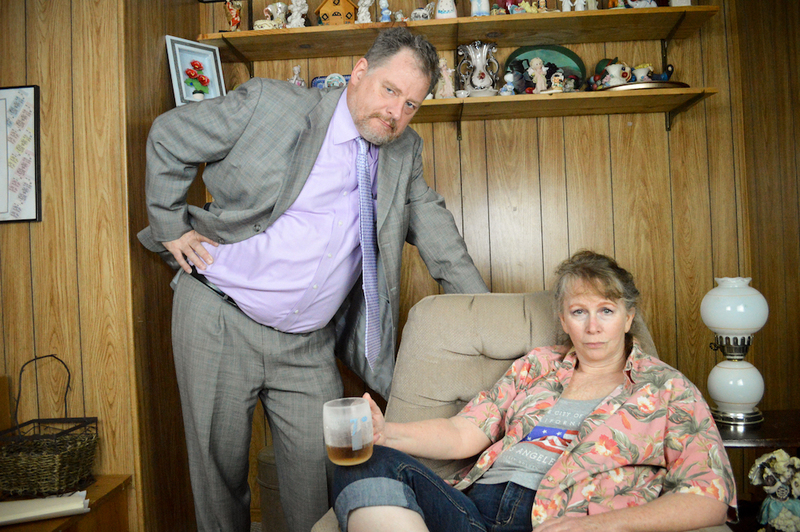 It’s a season about finding commonality amidst divisiveness and discordance, starting with Stephen Sachs’ searing, clever and often funny drama, Bakersfield Mist. There are several events scheduled to complement the show. Following the opening night performance on April 13 will be a wine and cheese reception during which audience members can mingle with the cast and production team. Following the matinee performance on Sunday, April 15, there will be a talkback session with the cast and creative team. On Saturday, April 21, there will be a wine and cheese reception held before the show at 6:30pm when audience members can browse the exhibit and mingle with each other. Pegasus is also happy to offer their first midweek matinee open to the public on Wednesday, April 18 at 10:00am, followed by a talkback session with the cast and creative team.